Coming from Auckland? The trip home just got MUCH more fun! For anyone venturing north to BOISW, the trip back down the coast after a week of racing and partying can be… well, a bit of a drag. 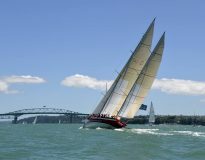 So we’ve joined forces with the organisers of the Auckland Anniversary Regatta to turn that drag into an awesome new rally to Kawau! That’s right sailors - there are just three short months to go until BOISW 2018, so if you haven’t already secured your spot at NZ’s biggest and best regatta, it’s time to…. ENTER NOW! 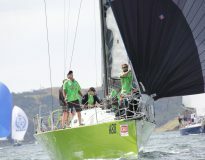 Can you help out at Bay of Islands Sailing Week? 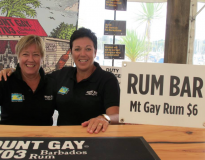 We're on the hunt for volunteers to help with the Bay of Islands Sailing Week regatta, from 23-26 January 2018. Can you help us make this awesome event even better? We promise to feed you, and kit you out in BOISW 2018 regalia! 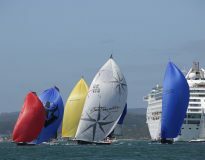 “Come for the racing, stay for the cruising.” That’s the message being sent to international sailors by the Bay of Islands Sailing Week regatta in New Zealand. 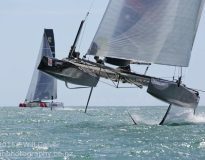 The 16th edition of New Zealand’s biggest and “best” sailing regatta will take place over the week of Tuesday 23rd to Friday 26th January. 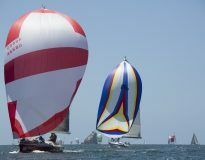 Mark your diaries - the highlight of the sailing calendar is set to be another superb event both on and off the water. An absolutely stunning day. That was the consensus of those on the water today for the final day of the 15th annual Bay of Islands Sailing Week regatta.